Synth Motion - A sound effects generator and synthesizer app for your iPhone and iPad! Synth Motion is a powerful sound effects generator and synthesizer app, inspired by the famous SN76477 integrated circuit from the 1970s, but containing many enhancements. Synth Motion is a programmable sound effects generator, inspired by the famous SN76477 integrated circuit chip from the 1970s. It contains two adjustable frequency oscillators, the main oscillator and the low frequency oscillator (LFO). You can set the center frequency and type of each. 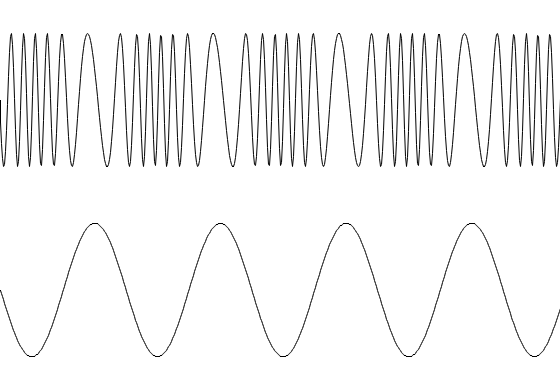 The low frequency oscillator can modulate the frequency of the main oscillator. The frequency of each oscillator, as well as the modulation level, is controlled by adjusting the tilt of your device as you hold it in your hand. These three values are displayed at the bottom of the screen, so you can see the effect of rotation. 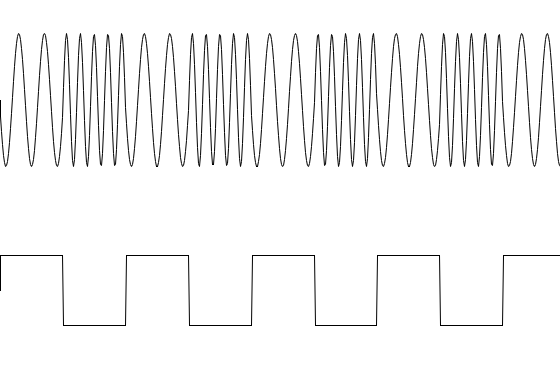 There is a set of buttons to select the waveform type for each oscillator: sine, triangle, sawtooth, or square. Sliders set the center frequency for each, as well as the nominal modulation level. If you tap the color button, the controls disappear, and the screen color changes as you rotate the device, with the red, green, and blue components of the color controlled by the rotation. You can tap the screen three times to exit this mode. Please feel free to contact us at support@blackcatsystems.com with any suggestions you may have for the app! Visit the Synth Motion App page page for details on how to get the app.